As a coach and team manager I know it’s always a challenge to efficiently use the cool tools that DiscNW offers to the parents of of elementary and middle school players. The process of rostering players and getting parents and players to all sign their on-line waivers and concussion forms is the logistical crux of the spring season. But it’s worth it, because if you do it right the web site will do wonderful things, like automatically sending out game reminders with RSVPs, and bypassing reams of printed paperwork. 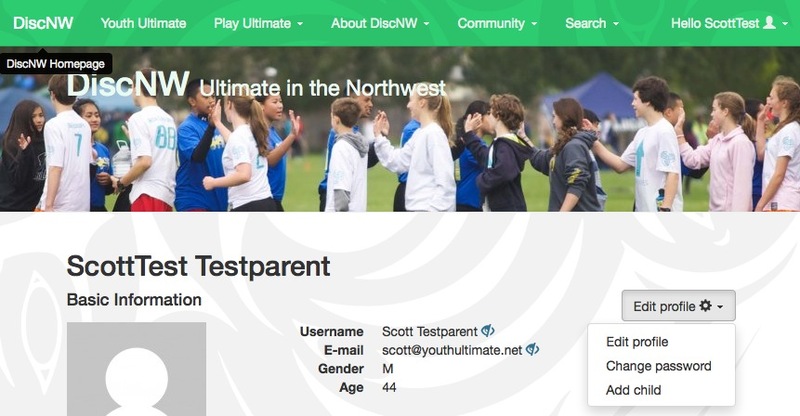 So, here’s a guide to creating a parent account at discnw.org and then adding your child to your account. If you can get through this step, then it will be easy for your coach to put your child on the team roster. Only after the coach is done will e-waivers auto-magically appear in your account for you and your player(s) to read and sign. The good news is, once the process is complete, you’ll get nifty functionality, like: automated game reminder emails; handy calendars with all your game times and locations; and RSVP emails and back-end so the coach knows who is playing in a particular game. Get your child ready to play in a DiscNW leage by following one of the following options, depending on if you DO or DON’T already have a parent account on the DiscNW web site. Email your coach or team manager to let them know your child is ready to be added to the team roster. To grease the skids, be sure to give them the first and last names you entered, and the child’s gender. That way they’ll be able to quickly add the right child to the roster (by using the nifty auto-complete functionality provided by the DiscNW rostering tool). Email your coach or team manager to let them know your child is ready to be added to the team roster. To grease the skids, be sure to include the first and last names you entered, and the child’s gender. 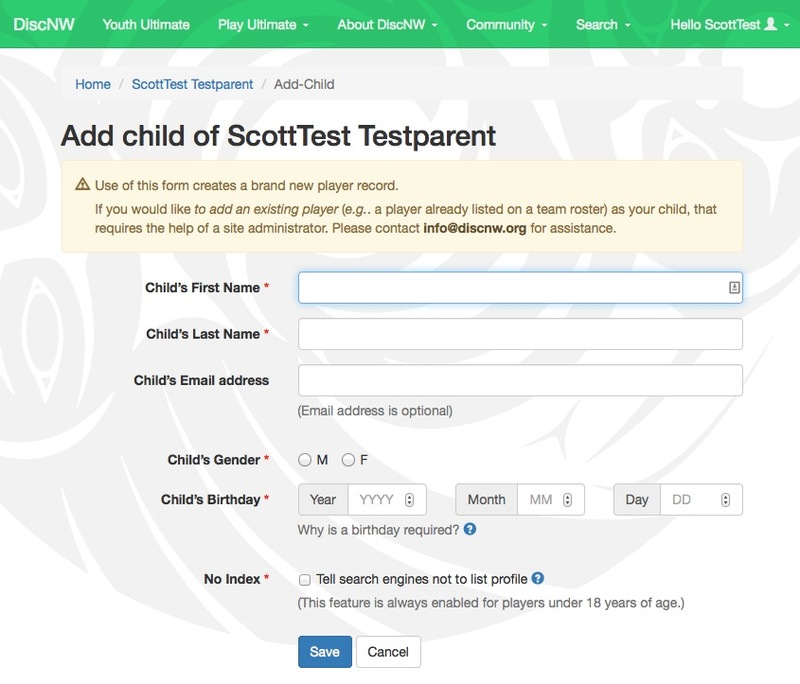 That way they’ll be able to quickly add the right child to the roster (by using the nifty auto-complete functionality provided by the DiscNW rostering tool).